← How do You Doctor an Aging Body? • Skin cancer is the most common form of cancer in the United States. More than 3.5 million skin cancers in over two million people are diagnosed annually. • Over the past 31 years, more people have had skin cancer than all other cancers combined. I had a procedure done by the Dermatology Department of Northwestern Memorial Hospital. Along with the info on how to care for my ‘wound,’ they included some powerful suggestions on how to protect yourself from skin cancer. I wanted to share it with you as it seems to be very thorough and helpful. Maybe it will help you to avoid the situation I found myself in – needing skin cancer surgery. I certainly learned some useful facts from it. Ultraviolet rays are more intense in the summer, but even on cloudy days UV radiation is significant and can lead to sun damage and sunburn. Sun exposure is the most preventable risk factor for all skin cancers, and here’s how to protect yourself. Ultraviolet radiation is strongest between 10:00 a.m. and 4:00 p.m. so avoid being outdoors and unprotected during these hours as much as possible. SPF (sun protection factor) refers to how much protection is offered against UVB. An SPF15 screens out 93 percent of the sun’s UVB rays, while SPF30 protects against 97 percent and SPF50 against 98 percent. Apply a broad-spectrum sunscreen (protects against both UVA and UVB rays) with an SPF of at least 15 (SPF15) to all exposed skin. Don’t forget to apply sunscreen to the ears, neck, hands and feet and around the eyes. Apply a lip balm of at least SPF30 to your lips 30 minutes before going into the sun and reapply at least every two hours. Apply at least one ounce (one shot glass = two tablespoons) of sunscreen to cover your entire body. Apply at least 1/4 tablespoon of sunscreen to cover your face. 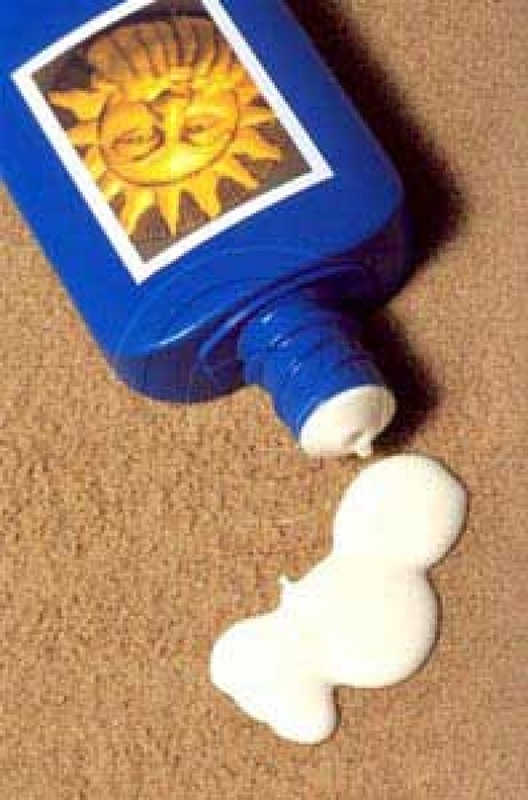 Sunscreen should be applied at least 30 minutes prior to going out into the sun to allow for absorption. Reapply sunscreen every two hours and after swimming, excessive sweating or toweling off your skin. There is NO such thing as a water-proof or sweat-proof sunscreen. Water-resistant sunscreens last only 40 minutes and should be reapplied immediately after coming out of the water. Hats should have a wide brim, at least three inches all the way around to shade not just the face and scalp but also to protect the ears, neck and shoulders and upper back. Try bucket, outback and tightly woven straw hats. Avoid baseball caps and sun visors (though these are better than nothing). Sand reflects 15 percent of UV light. Water reflects up to 10 percent and sea foam reflects about 25 percent according to the World Health Organization. Reflected UV radiation increases your UV radiation exposure. Sunglasses that filter out 99 to 100 percent of UV rays should be worn at all times. Try sunglasses with over sized frames and wraparound shades which don’t let UV in at the temples. Avoid sunglasses that don’t block 99 percent or more of UV radiation and any part that slips down the nose. If you are interested, you can check out my Page – Skin cancer facts, in general, and my three skin cancer surgeries, in particular.